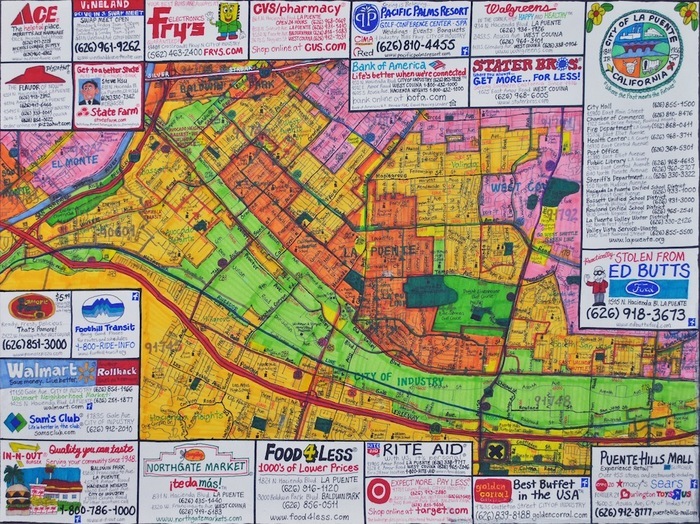 Joe Zaldivar, Street map of La Puente, California, 2015, Illustration marker, pen, and graphite on paper, 18 x 24 inches. 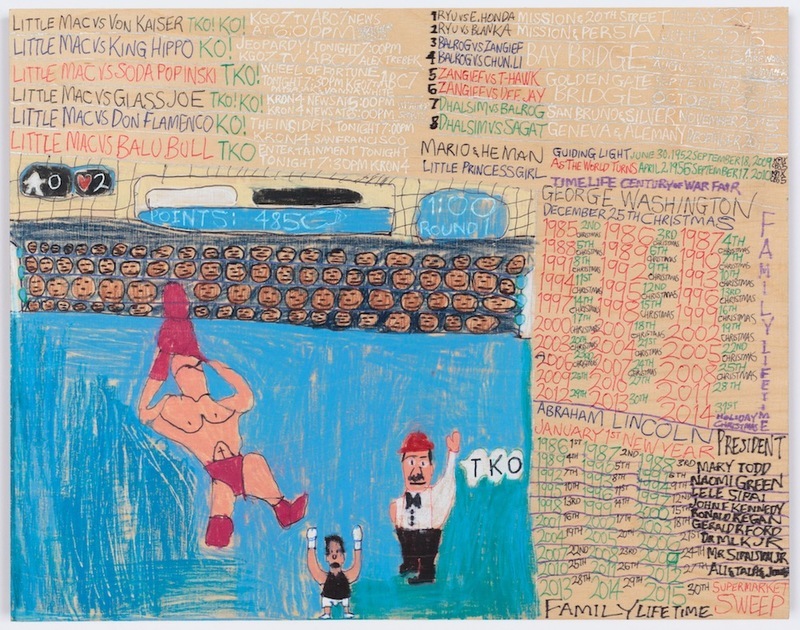 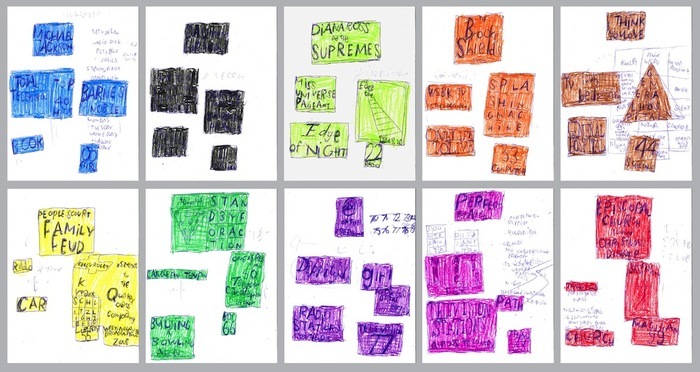 Roger Swike, Untitled (Ten Drawings in Manila Folder – B), Ink, crayon, and marker on paper, 11.75 x 10 inches each. 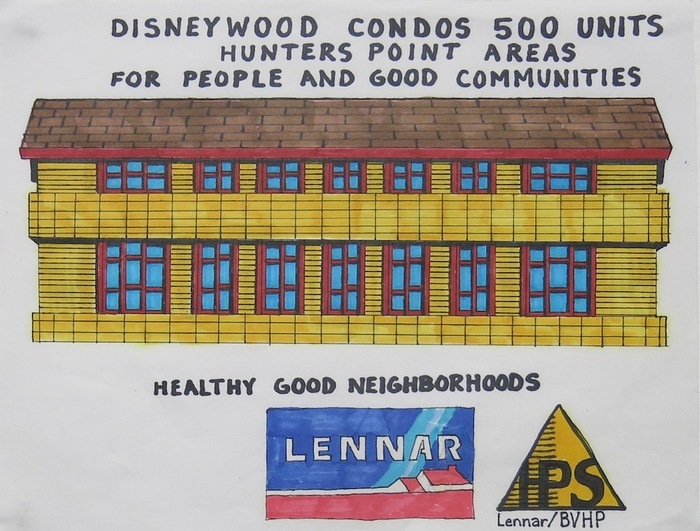 William Scott, Disneywood in Hunters Point Areas in San Francisco for the Redevelopment Agency, 2006, Marker and ink on paper, 8.5 x 11 inches. 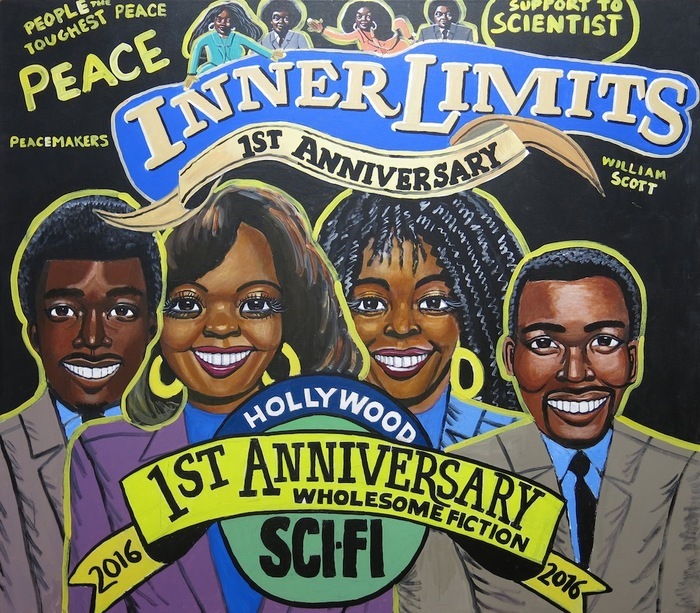 William Scott, Inner Limits to the Future of Hollywood of the Real Science Fiction Movies, 2013, Acrylic on canvas, 48 x 54 inches.